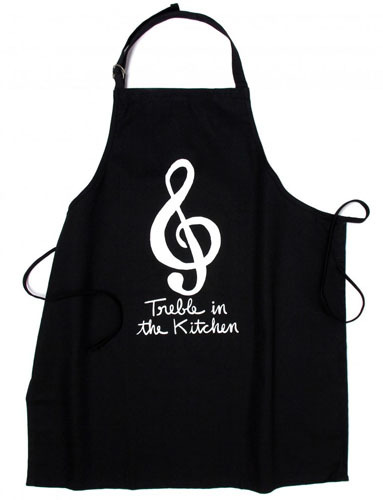 A Great Gift for the Musician who cooks, or doesn't! These Black Tea Towels, sold as a pair say, "Treble in the Kitchen." 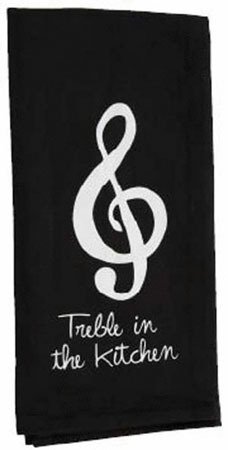 Matching kitchen Apron and mitt and even a coffee mug are available. See images below. 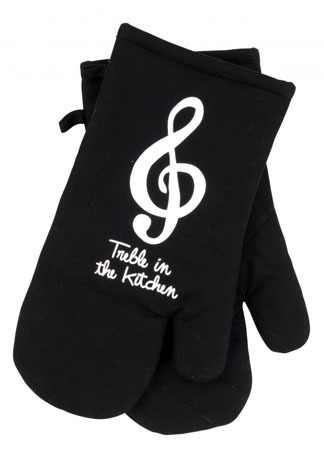 If you wish to add them to your cart, please order these other items from the previous (kitchen and Tableware) page.